If BIG/MEGA supposedly establishes Spiritual Growth and Power, the Holy Spirit’s objective to prove exactly what He said has been accomplished. There are no churches within my metropolitan area that can unite with me in agreement against the powers of darkness! Prior to this transfiguration event, the Holy Spirit disclosed that ministers would want me to join their church. After I left Dr. Creflo Dollar’s church, Dr. Creflo Dollar continued to argue that I should be at his church. During this period I felt Bishop TD Jakes pull for me to come under his covering, while at the same time, the Holy Spirit prompted me likewise. (Based on the Holy Spirit’s leading and other insights @ Bishop TD Jakes, I am still under his pastoral covering (in spite of the fact that the Holy Spirit disclosed that he is a disastrous parent) as well as under the covering of another ministry……. Soon after I began seeking covering with TD Jakes, Dr. Creflo Dollar begin to say, “Well you can have her;” making reference to me “rocking the boat” and Then Bishop TD Jakes began to say, “No, she can stay at your church Dr. Creflo Dollar.” I actually said to myself, they are not treating me like I am a child of God; it felt like they were pimping me! This is the warped mentality of our Black Men. Nevertheless, when Oprah Winfrey came into the picture, Dr. Creflo Dollar, along with other ministers, started pulling for me again. Now let’s examine this for a brief moment. It looks like they wanted me back because of the potential promotion with Oprah Winfrey! It’s about the money, not my soul, my well being as a child of the Most High! Looks like a game! Looks like pimps in the house to me! Woman Thou Art Loose Conference was going to be held in Atlanta in 2004. Attended the conference…Paula White began to Minister that you are coming from obscurity to notoriety; You are coming from the back to the front. 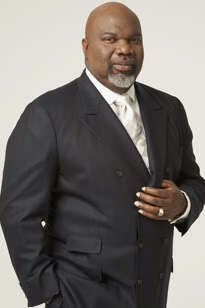 By the end of the meeting TD Jakes said that the other disciples did not like me. The main culprit was Dr. Creflo Dollar Jr. He tries to run everyone’s platform. How? Holy Spirit disclosed that he is a con artist…..he is very cunning….running around getting into peoples’ business, taking their tongues out of their mouths. 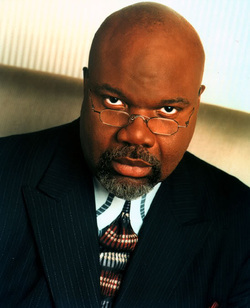 TD Jakes disclosed that He did not owe me anything. 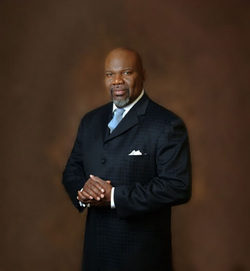 TD Jakes stated “God spread your business all over the world”. Now this is one of the minister’s whom you (the public) feel you can go to and share your private confidential information. TD Jakes said, “You are such an Amazon woman. Come up here yourself!” (Went from having 4 friends to pick me up to becoming the Amazon Woman…They are schizophrenic). Nevertheless, I must say that prior to the move of God (transfiguration 2003-2007) and at points during this period, I have benefited tremendously from the word of God preached from the platform of TD Jakes. In some cases it has been prophetic. The word of God is digestible; I can tell that he has been abased at some point in his life as he has given testimony. But the Holy Spirit disclosed, because Chucky has His tongue, he has become somewhat an actor. After the Meeting they began speaking about why TD Jakes did not keep his word. The Holy Spirit disclosed that Dr Creflo A. Dollar used his influence. He was the number one person who rallied against anyone helping me.